Benji Brown has taken over stages and airwaves with his original style of comedic relief. He is currently an on air personality for the syndicated Rickey Smiley Morning Show. He also appeared on episodes of the TV One sitcom The Rickey Smiley Show in 2014, and in 2013 he had a guest performance for the Sony Ericsson World Championship Tennis Tournament. Witty, vivid, and hilarious, he’s a comedian who is more than just the next household name; he is creating his own platform. It all began around 1999, with an agent giving him a card. After that though Benji waited about 6 months to even call him. Once he did he was asked to come do stand up. Although his first time consisted of him reciting about 10 minutes of all he could remember from an Eddie Murphy skit, the crowd was pleased. From then on he began to study the craft, and create his own niche. Benji Brown has also made numerous appearances on BET’s Comic View, as well as hosted Improv in Fort Lauderdale, Miami, and West Palm Beach, and was the star personality for Cox Radio WEDR 99 Jamz Morning Show in Miami. Growing up in Miami he would make the hallways his platform to capture the attention of many. He was the jokester and sometimes a prankster, but learned early on the power to escape reality that laughter possesses. Benji made friends with twin girls, who both were dealing with the pain that sickle cell brought. So freshmen year he would get off the bus, walk away from the school, and make his way to their house. He would have them smiling and laughing from his antics. That served as practice for him, as well as therapy for them. They all ended up taking make up courses the next year, causing their bond to grow even stronger. Unfortunately, they both ended up succumbing to the disease. Before the second sister died he promised her he would start a foundation in their names. He now dedicates many of his shows to them. 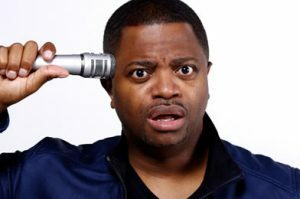 Benji became well known throughout the college circuit of comedy and national comedy clubs, in addition to working with a large list of headliners including: Chris Rock, Steve Harvey, Rickey Smiley, and Monique. His DVD feature films include Benji Brown: The Breakthrough; which complemented his top selling comedy film, In Touch With Reality, directed by Melvin James. That was often compared to Dave Chappelle’s comedy and sketches. He also released Nothing Is For Free the spring of 2007. Completely devoted to being better, he continually looks for ways to expand his reach. Benji has appeared on Academy Award winner Jamie Foxx’s Laffapalooza, and STARZ’s 1st Amendment Comedy Show. As well as guest starring on the 1st season of BET’s reality show College Hill. Previously, Benji was showcased on ESPN’s Cold Pizza and 360 Degrees – Game Night, as he also regularly hosts national football player’s celebrity and charity events. Adding to his impressive list of shows and appearances, Benji completed an episode of MTV’s Nick Cannon Presents: Wild n’ Out, which aired on the 4th season in 2007. He also co-starred in a series of 2005 Bud Light Super Bowl commercials with Cedric the Entertainer. He was also seen in a hip-hop comedy entitled, A Miami Tail, released by Lions Gate Films. Benji’s early success earned him respect from other comedians in the business, such as, Mike Epps who said, “He’s an actor doing comedy.” Benji’s comedy skits have reached over 1,000,000 hits, and over 725,000 for his most requested character Kiki. It all started with him mimicking the girls in the city he encountered, and it quickly took off. His voice overs have been heard on platinum recording artist Trick Daddy’s album, as well as appearances on Flo-Rida’s album. In high demand, and in total control of his future, Benji Brown is well on his way to setting a new standard in the entertainment realm. Viewers dedicated to www.youtube.com have selected Benji’s skits of comedy to reach the volume of over 1,000,000 hits and over 725,000 for his most requested character Kiki. You can listen to Benji’s voice over performances on Platinum recording artist Trick Daddy’s new album as well as appearances on Flo Rida’s R.O.O.T.S, and Brisco upcoming album “Street Medicine”. Benji Brown and Poe Boy is currently in Production working on his highly anticipated Comedy DVD “Laff or Die Laffin”! !